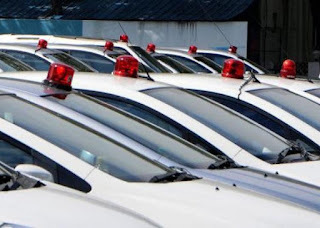 Union Cabinet on Wednesday decided to ban the use of red beacons on all VIP vehicles, including those of the President, Vice-President and Prime Minister, from May 1. Emergency services, like ambulances and fire brigade, will be allowed to use blue beacons. Earlier, the Supreme Court had also asked all state governments to restrict the list of VIPs who are allowed beacons on their vehicles. Some state governments like Punjabi. Uttar Pradesh and Delhi have already barred the use of red beacons. The government will bring about the necessary amendment to the Central Motor Vehicle Rules, 1989, in this regard. Aiming to provide a delightful travelling experience to the picturesque Araku valley in Visakhapatnam, the Railways introduced a see-through Vistadome coach on its Visakhapatnam-Kirandul passenger train. Railway Minister Suresh Prabhu flagged-off the train through a video link from Bhubaneswar. 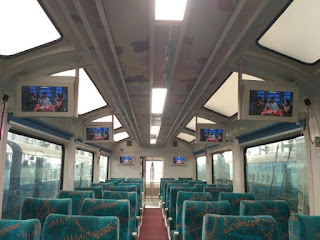 The specially-designed Vistadome air-conditioned coach, claimed to be a first-of-its-kind in Indian Railways, has large glass windows and an observation lounge that offer passengers a panoramic view of the sites along the 128-km rail route from Visakhapatnam to Araku valley hill station. 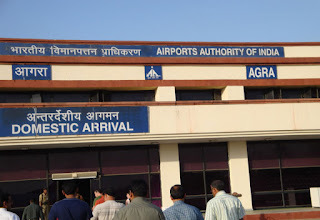 Uttar Pradesh cabinet, that was held on Tuesday, the Yogi government changed the name of Gorakhpur and Agra Airports as well as the name of the department of welfare of the differently abled. The Gorakhpur Airforce Station has been renamed as Mahayogi Goraknath Airport after the founder of the Nath monastic movement. Likewise, the Agra Airport will be renamed after RSS ideologue Pandit Deen Dayal Upadhyay airport. The Department of Disabled Welfare will now be known as 'Divyang Jan Vikas Empowerment'. The Yogi Government decided to name the Civil Terminal, named Mahayogi Gorakhnath, at Gorakhpur Air Force Base. 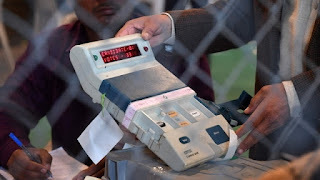 The Union Cabinet, chaired by Prime Minister Narendra Modi, cleared the Election Commission’s proposal to buy new Voter Verifiable Paper Audit Trail (VVPAT) machines. Ahead of the 2019 General Elections, the EC has been given the go ahead to procure 16,15,000 units, at an estimated base price of Rs. 3,173.47 crore. A VVPAT machine dispenses a slip — called a ‘Ballot Slip’ — with the serial number, name and symbol of the chosen candidate which a person has voted for. The voters see the voter-verifiable paper audit trail slip for seven seconds after which it drops into a sealed box, which would be proof of the party he or she has voted for. 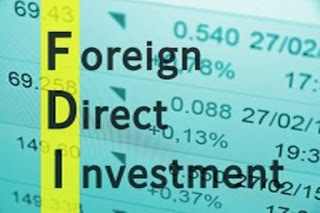 India has jumped one spot to rank 8th in the 2017 AT Kearney Foreign Direct Investment (FDI) Confidence Index with 31 percent of the surveyed respondents being more optimistic on economic outlook over the next three years. Among the investors surveyed, over half said a successful GST implementation would cause them to significantly or moderately increase their investment in India. For the second year in a row, India appears in the top 10. The country has the world’s fastest-growing major economy, and the government is seeking to loosen FDI regulations to support Prime Minister Narendra Modi’s “Make in India” initiative. A Hindu youth from Pakistan has been selected for the prestigious Emerging Young Leaders Award given by the US State Department for the positive role played by youngsters in building sustainable peace. 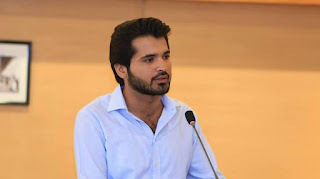 Raj Kumar, from Pakistan, was among 10 youths from across the world who have been selected for the second edition of the 'Emerging Young Leaders Award' given by the State Department. 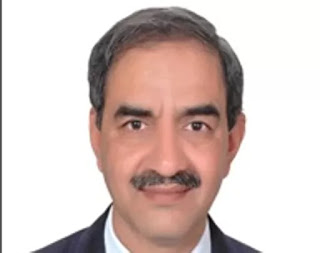 Devendra Kumar Sharma, managing director of Himachal Pradesh Power Corporation Limited, will be the new chairman of the Bhakra Beas Management Board (BBMB). The BBMB manages the release of water in Punjab, Haryana and Rajasthan as it controls Bhakra, Pong and other dams. 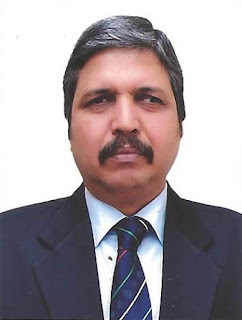 DK Sharma has been associated with the power sector for over 30 years. Serving in the Himachal Pradesh State Electricity Board, he was instrumental in implementing and commissioning Tata Hydro Power Station in Bhutan. He was also associated with the industrial giant Larsen & Toubro for a long time in its infrastructure development projects. An officer of Indian Railway Accounts Service (IRAS) of 1980 examination batch, Shri B.N.Mohapatra completed his post graduation in Political Science and graduation in LLB. During his career, Sh. Mohapatra has worked on various higher and middle level management posts on the Indian Railways like DRM/ Tinsukhia, NFR, Assistant General Manager (AGM) on East Coast Railway. In Railway Board he has worked in various directorates like Pay Commission, Establishment, Expenditure and Accounts as Executive Director and Advisor. 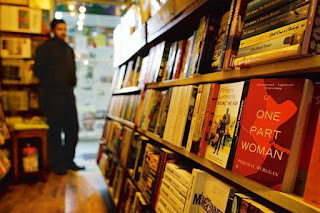 Aniruddhan Vasudevan's "One Part Woman", a translation of Perumal Murugan's controversial Tamil novel "Maadhorubaagan"
He will be awarded along with the other winners of the same award in 23 languages. Sahitya Akademi has instituted an annual prize for translation from 1989 to be given to outstanding translations in the 24 languages recognised by it. The Translation Prize which carried Rs.10,000 in 1989 was increased to Rs.15,000 in 2001 and is Rs.20,000 from 2003, and is now Rs.50,000 from 2009. 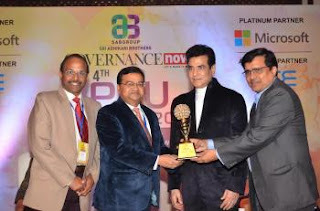 BEML, a defence public sector, has received the Hindustan PSU Award under the category ‘Fastest Growing Organisation – Miniratna’BEML has been bestowed with Hindustan PSU Award under the category 'Fastest Growing Organisation - Miniratna'. The award is instituted by Hindustan Media Ventures. Veteran actress Saira Banu was today named for the prestigious Raj Kapoor Lifetime achievement award of the Maharashtra Government. 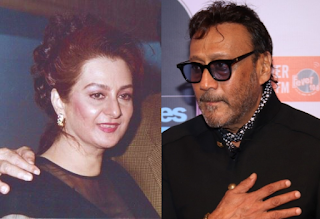 Actor Jackie Shroff was selected for the Raj Kapoor Special contribution award. Noted Marathi actors Vikram Gokhale and Arun Nalawade were selected for the coveted V. Shantaram Lifetime Achievement and V.Shantaram Special Contribution annual awards, Tawde said in an official communication issued by his ministry. 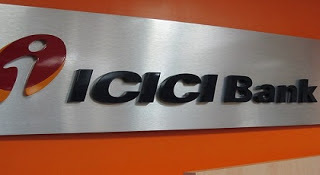 The ICICI Bank Data Centre in Hyderabad has achieved the distinction of becoming the country's first Platinum rated project under IGBC Green Data Centre Rating System. IGBC Green Data Centre Rating System would facilitate in providing tremendous tangible and intangible benefits. Tangible benefits include: 20 to 25 per cent reduction in Power Usage Effectiveness, 25 to 30 per cent reduction in water consumption. Intangible benefits include enhanced air quality, excellent daylighting, health and well-being of the staff operating such facility. ICICI Bank would continue to partner with IGBC in taking forward the green building movement in the country. 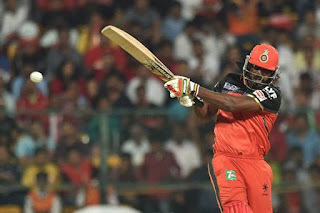 Chris Gayle, the brutal and entertaining Jamaican hard-hitter, is now in an elite club of his own – one for those with 10,000 T20 runs. It was at Indore that Sachin Tendulkar became the first cricketer to score 10,000 runs in One-Day Internationals in 2001. Also, Sunil Gavaskar became the first person to score 10,000 Test runs in Ahmedabad against Pakistan in 1987.